The U.S. Department of Energy’s 17 National Laboratories lead the nation in advancing the frontiers of scientific knowledge, keeping our nation secure, and fueling our clean energy economy. The innovation at the heart of the Laboratories’ past and future success benefits from the fusion of diverse talents and inclusive perspectives. This includes the broad spectrum of individual characteristics reflected by race, color, ethnicity, national origin, gender, age, religion, culture, language, disability, sexual orientation, gender identity, socioeconomic status, family structure, and diversity of thought, technical expertise, and life experience. 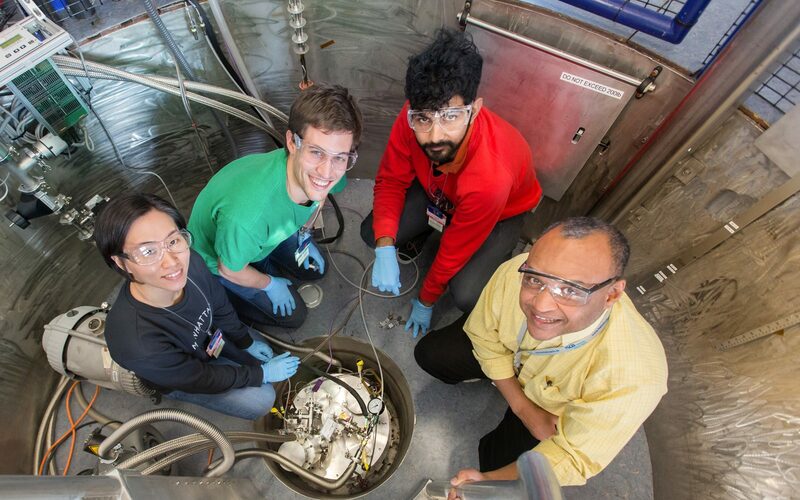 The ethical, professional, and respectful work environments fostered at the National Laboratories allow the current and next generation of great minds to contribute to their mission in support of the Department of Energy’s ambitious goals. As a leading component of the American research system, the National Laboratories are positioned to ensure the most talented scientific and technical minds continue to be attracted and retained. As leaders of the 17 National Laboratories, individually and collectively, we are committed to advancing Diversity & Inclusion as a key element of maintaining the National Laboratory System’s stature as a scientific and technical powerhouse serving essential missions for our nation. OPC = Other People of Color (e.g. : Asian/Asian American and Pacific Islanders. Includes data from all 17 national labs.